Draft: 2006, New York Mets, 13th rd. Daniel Thomas Murphy … married to Tori, together they have three children: Noah, Quinn and Drew ... Graduated from Englewood High School in Jacksonville, Fla ... Earned All-Gateway honors his senior, junior and sophomore years of high school … was also a fouryear letter winner for the Englewood swim team ... Went on to attend Jacksonville University, where he was the 2006 All-Sun Player of the Year and inducted into the Atlantic Sun Conference Hall of Fame in 2016. Acquired by Chicago-NL via trade with Washington on Aug. 2, he played in 91 games between both clubs as he was recovering from right knee surgery, his fewest gamed played since his rookie season in 2008 ... Played in 10 rehab games with Double-A Harrisburg prior to rejoining the Nationals, batting .243 (9-for-37) with eight runs, two doubles, two home runs, seven RBI and six walks ... In 56 games with Washington prior to the trade, batted .300 (57-for-190) with 17 runs, nine doubles, six home runs, 29 RBI, one stolen base, 13 walks and 17 strikeouts ... As a member of the Cubs, batted .297 (41-for-138) with 23 runs, six doubles, six home runs, 13 RBI, two stolen bases, seven walks and 23 strikeouts ... Hit his first career leadoff home run on Sept. 21 vs. Chicago-AL ... Appeared in his fourth consecutive postseason, going 0-for-4 against Colorado in the NL Wild Card Game ... Batted .319 (79-for-248) against left-handed pitchers, as compared to his .238 (19-for-80) average against right-handed pitchers ... Recorded a career-high six RBI on July 31 vs. NYM (3-for-4, two home runs). Maintained his standing as one of the best all-around hitters in Major League Baseball...Represented Washington in the All-Star Game and took home Silver Slugger honors for the second straight season...He led or ranked near the top of the NL in a number of offensive categories including doubles (T1st, 43), batting average (2nd, .322), hits (8th, 172), and multi-hit games (9th, 49)...Recorded career marks in runs scored (94) and walks (52)...He was the best hitter in Major League Baseball with runners in scoring position, batting .409 (47-for-115) with nine doubles, two triples, five home runs, 67 RBI and 24 walks in those situations...He led all NL second basemen in doubles (43), batting average (.322), on-base percentage (.384), and slug- ging percentage (.543)...He had four games of at least five RBI, the most in Major League Baseball...Along with Ryan Zimmerman (36 HR, 108 RBI), Bryce Harper (29 HR, 87 RBI) and Anthony Rendon (25 HR, 100 RBI), the Nationals were the only team in the Major Leagues to boast four players with 20+ home runs and 85+ RBI...Had two multi-homer games (7/16 at CIN and 8/4 at CHI) after entering the season with three in his career...Opened the season on a 10-game hitting streak (20-for-45, 6 2B, 2 HR, 10 RBI)... Recorded a season-best 12-game hitting streak, June 15-28 (16-for-47, 6 2B, 3B, 12 RBI)...Collected four hits on three occasions...Hit his second career grand slam, April 23 at NYM (Wheeler)...On Sept. 23 at NYM, lifted a go-ahead solo home run in the 10th inning to give Washington the 4-3 lead at NYM...It was his first career extra-inning home run...Clubbed his eighth career Postseason home run, a solo shot off Kyle Hendricks in the second inning of Game 5 of the NLDS. His first season in The District was one for the record books as he emerged as a 2016 National League Most Valuable Player candidate...He was named one of three finalists for the 2016 National League MVP, finishing second behind CHI 3B Kris Bryant...Ranked in the National League in slugging (1st, .595), OPS (1st, .985), doubles (1st, 47), average (2nd, .347), multi-hit games (5th, 56), and RBI (4th, 104)...Clubbed a career-high 25 home runs...Tied Nationals' records (2005-present) for hits (184) & doubles (47) in a season...Posted the sixth 100-RBI season in Nationals history...Murphy joined Rogers Hornsby (H.O.F., 1942) as the only second basemen to hit at least .347 with 25 HR, 104 RBI and a .595 SLG in a single season...Earned his second career All-Star selection (2014, 2016)...Ranked tied for second in the NL in go-ahead RBI (31) and tied for third with 16 game-winning RBI... Recorded a career-high four Postseason RBI in Washington's 6-5 Game 4 loss at LAD (3-for-4, 4 RBI)...Tied the game at 5-5 with a two-run single in the top of the seventh inning...He tied a franchise-record for hits in a month (47 in May)...Tied Marquis Grissom (June 1994) and Al Oliver (Aug. 1982)...Earned National League Player of the Month Awards in May (.416, 8 2B, 7 HR, 23 RBI) and July (.346, 11 2B, 3B, 6 HR, 23 RBI)... In his second career All-Star Game, led the National League squad with two hits, the only NL player to post a multi-hit game (2-for-3) in the AL's victory...Was the first player in Nationals history to tally two hits in the All-Star Game...Earned his second career All-Star selection by player vote after leading the Major Leagues in batting average (.348) and leading all NL second baseman in doubles (25), home runs (17), RBI (66), and slugging percentage (.598) at the break...Announced his presence in Washington's lineup with a go-ahead solo home run on Opening Day at Atlanta off Braves RHP Julio Teheran... On July 17 vs. PIT, stepped off the bench to club his fourth career pinch-hit home run, a solo shot on a 2-2 pitch off eventual Nationals closer RHP Mark Melancon...The game would last 18 innings, with the Nationals falling to the Pirates, 2-1...Clubbed his first career grand slam, Aug. 24 at BAL (Bridwell)...Matched a career-high 14-game hitting streak, Sept. 2 to 17... Recorded seven hits in the 2016 NLDS, tied for the most in MLB during the DS...Tied teammates Trea Turner and Jayson Werth as well as TOR 3B Josh Donaldson. Clubbed a career-high 14 home runs while hitting .281 with 38 doubles, one triple, 73 RBI, 31 walks and 56 runs scored in 130 games...Was the toughest batter to strike out in MLB, fanning once every 14.2 plate appearances...Proved to be the hero of the 2015 postseason for the Mets, clubbing seven home runs (including one in six straight games), during the NLDS and NLCS...Was named the 2015 NLCS MVP after hitting .529 (9-for-17) with one double, four home runs, six RBI and six runs scored in four games...Hit .328 (19-for-58) with two doubles, seven home runs, 11 RBI, six walks and 13 runs scored in 14 postseason games...His 38 doubles on the season ranked fifth in the National League, and his 22 doubles after the All-Star break, were good for fourth in MLB...Hit a game-winning three-run home run in the ninth inning off Miami's Steve Cishek on April 27...It was his first career go-ahead home run in the ninth inning or later...Matched a career-high with a 17-game on-base streak from May 21-July 2...Hit .396 (19-for-48) with five doubles, three home runs and 10 RBI during a 12-game hitting streak from Sept. 18-Oct. 3...Appeared at second base (69 G/65 GS), third base (42 G/41 GS), first base (17 G/14 GS) and at designated hitter...Became the sixth Met with 500 career games at second base on Sept. 23 vs. Atlanta...The other five are Wally Backman (680), Felix Millan (674), Doug Flynn (531), Edgardo Alfonzo (524) and Ken Boswell (505). Named to his first All-Star team, going 0-1 in the AL's victory at Minnesota...Became the third Mets second baseman to make an All-Star team (Edgardo Alfonzo, 2000; Ron Hunt, 1964 and 1966)...Went to the 15-Day Disabled List with a right calf strain on August 29, retroactive to August 25...Reinstated on September 9...Was tied for ninth in the NL with 172 hits...Hit .322 (103-320) on the road, second best in the NL and third best among major league qualifiers...The 103 road hits led the NL...Tied his career-high hit total of four twice, May 3 at Colorado and September 19 at Atlanta...Has 12 games with four or more hits, third most in franchise history...Finished with 37 doubles, his third consecutive season with at least 35 two-base hits...Is one of three major leaguers to accomplish that feat (Arizona's Paul Goldschmidt and Seattle's Robinson Cano)...It was his fourth season with at least 35 doubles, the second-most such seasons in franchise history...David Wright has seven...Moved into sole possession of eighth place on the team's all-time double list with his 188th two-base hit on September 19 at Atlanta...Passed Darryl Strawberry...Made starts at second base and third base, and made one appearance at first base...Started at second base 126 times, before starting his final 16 games at third base...Those were his first starts at third since July 21, 2011 vs. St. Louis...Hit .185 (12-65) as a third baseman, but handled all 32 of his chances at the position cleanly...Hit in a career-high 14 straight, September 19, 2013-April 5, 2014...Hit .352 (19-54) over this stretch...Went 0-4 on April 6 to end the streak. Walked a career-high 39 times...Successful on 28 consecutive steal attempts, June 9, 2013-April 29, 2014, the second-longest streak in team history...Was caught on May 2 at Colorado to end the run...Became the seventh Mets player to have 100 or more hits through the club's first 82 games...Jose Reyes (three) and David Wright (two) are the only two Mets to do it more than once...Had 113 hits prior to the All-Star break, the fourth most in franchise history...Jose Reyes holds the franchise record with 124 in 2011...Hit seven home runs in the first half, the most he ever hit prior to the All-Star break...Had multiple hits in a career high-five consecutive games, August 4-August 8, becoming the first Mets player with such a streak since David Wright went seven straight, July 24-July 30, 2011...Hit .305 (149-489) from the second spot in the order...Hit .205 (15-73) from the three hole...Hit clean-up six times...Had 42 first-inning hits, tied for the second most in the NL and one off the lead...Hit .311 (42-135) in that inning. Set career-high totals in games (161), at-bats (658) runs (92), hits (188), home runs (13), RBI (78) and stolen bases (23)...Finished ninth in the NL with 273 total bases. Finished second in the NL in hits and at-bats, tied for seventh in doubles (38) and stolen bases, and eighth in runs...Had 53 multi-hit games, the fourth most in the National League. Was one of six players in the majors with 35 doubles, 10 home runs, 70 RBI and 20 stolen bases...One of five players to do it in franchise history, with David Wright being the last to do so in 2009 (also, 2006 and 2007)...The others are Carlos Beltran (2008), Brian McRae (1998) and Howard Johnson (1989, 1990). Had 74 RBI as a second baseman, third most in franchise history and trailing only Edgardo Alfonzo, who had two better seasons (1999-2000). One of four NL players to play at least 161 games...Hunter Pence and Joey Votto played 162 and Starlin Castro played 161...The only game he didn't play in was August 18 at San Francisco... Murphy became the sixth Mets player to appear in at least 161 games, joining Felix Millan (162 in 1975), John Olerud (162 in 1999), Robin Ventura (161 in 1999), Jose Reyes (161 in 2005) and Carlos Beltran (161 in 2008). Finished with 38 doubles...Over the last two seasons, tied for the second most two-base hits (78) in the NL with Jay Bruce and Martin Prado...Paul Goldschimdt (79) leads...Also has the third most hits (354). Stole 22 consecutive bases to end the season, the second-longest streak in team history...Howard Johnson went 27 straight in 1989. Ended the season on an 11-game hitting streak, which dated to September 19...Hit .349 (15-43) during the run, which was his third hitting streak of at least 10 games in 2013...Also went 10 games, August 27-September 6 and July 6-July 20. Had two hits in a career high-tying four straight games twice during the season (July 24-July 26 and August 29-September 1)...Had done it three times previous and last on July 24-July 27, 2011. Had two hits on Opening Day, April 1 vs. San Diego. Hit in five straight (.400, 8-20), April 5-April 9...Had an extra-base hit in all five games (three doubles, a triple and two home runs), tied for the longest streak of his career...Also had one in five straight, July 9- July 17, 2011...Ty Wigginton holds the franchise record with one in eight straight in 2004. Collected his first game-winning RBI of the season, April 6 vs. Miami...Finished with a team-high 13 gamewinning RBI...That amount tied for the eighth most in the NL. Tied his career-high with four hits, April 12 at Minnesota...Had three other four-hit games (May 16, July 26, August 29). Hit his first home run of the season, April 5 vs. Miami (off Chad Qualls)…His only 2012 home run at Citi Field came on August 7, also against Miami (off Wade LeBlanc)...Hit six in Flushing this season. Collected his 20th double on June 15 vs. Chicago (NL)...Became the seventh Mets player to get to 20 doubles in the club's first 63 games. Had 20 July RBI, tied for third-most in the NL. Hit two home runs on July 26 at Washington (Game 1, Jordan Zimmermann)...It was his second career multi-home run game (last, June 27 at Chicago-NL)...Had double-digit home runs for the second time in his career (also, 12 in 2009)...Also drove in five runs to tie his career high. Homered off Bruce Chen on August 3 vs. Kansas City for his first home run against a lefthander since August 7, 2012 vs. Miami (off Wade LeBlanc)…Went 196 at-bats between home runs against lefties. Was the NL Player of the Week for the period ending September 1...Hit .448 (13-29) with five doubles and seven RBI. Went a career-long 32 games without a double, July 26-August 28. Set career-highs in games played, at-bats, runs, hits, doubles, RBI and stolenbases...Became the seventh Mets player in franchise history to record a 40-doubleseason...David Wright has five, Edgardo Alfonzo has two, and CarlosBeltran, Bernard Gilkey, Gregg Jefferies and Howard Johnson each haveone...His 40 doubles were the seventh most in the National League...Hit .322 (88-273) at home, 10th-best in the NL...Finished third in the NLwith a .338 day batting average...Hit in a career-best 11 straight games, May 4-May 15...Hit .455 (20-44) withseven RBI during the run...Hit his first two home runs of the season on June 27 at Chicago (NL) (offJeff Samardzija, Casey Coleman)...It was his first career multi-home rungame, snapping a string of 352 at-bats, dating to July 16, 2011, without ahome run...The last player to end a homerless streak as long as Murphy'swith a multi-home run game was San Diego's Chris Gomez on June 1, 1998(374 at-bats)...Drove in a career high-tying five runs on June 29 at Los Angeles-(NL)...Finished 2-5 with a home run in the Mets' 9-0 win...Also drove in four runson June 27 at Chicago (NL) and July 3 vs. Philadelphia...Hit five of his six home runs on the road...Hit his first Citi Field home runsince July 16, 2011 on August 7 vs. Miami (off Wade LeBlanc)...Snapped astring of 221 home at-bats without a Citi Field home run...Tied his career-high with four hits in consecutive starts: July 20 and July 22vs. Los Angeles (NL)...Finished with five, four-hit games, tied for the secondmost in the majors...Pittsburgh Andrew McCutchen had six games of atleast four hits to lead the majors...The only Mets player in history withmore than five games of at least four hits was Keith Hernandez, who hadseven in 1985...Singled home the winning run with no outs in the ninth inning on April 9vs. Washington...It was Murphy's second career walk-off game-winner; hisfirst was on August 16, 2009 (also a single)...Walked a career-best three times on April 14 at Philadelphia...Tied thatmark on August 1 at San Francisco...Snapped a 0-19 skid with a fifth-inning single on June 7 at Washington...Had four RBI three separate times over a six-game span from June 27-July3...Became the first player in team history to drive in four runs threeseparate times in a six-game span...Was sixth in the NL in batting average (.360) in July and was tied for secondin the NL with 11 doubles for the month...Hit .523 (23-44) at home in July, the highest home batting average in team history for a calendar month...The previousmark was held by Darryl Hamilton who batted .486 (18-37) at home in August, 1999...The last major leaguer to hit over.500 (min. 40 plate appearances) at home was Cleveland's Jamey Carroll (.525) in June, 2008...Did not fan on August 31 to snap a career-high 11-game skid with a strikeout (13 total), August 18-August 30...Hit a home run on September 3, his first extra-base hit since August 7 (also a home run)...Collected his 39th double on September 28 at Atlanta to set his career-high total and surpass his 2009 mark...Alsodoubled on September 30 to finish with his 40 doubles. Hit a career-best .320, but his season was cut short after he suffered a sprain of the medial collateral ligament of hisleft knee on August 7 vs. Atlanta...At the time of his injury, was among the league leaders in severalcategories: His .320 average was the sixth-highest in the majors...His28 doubles were tied for fifth in the National League, while his .364(40-110) batting average with runners in scoring position wasfifth...Hit .446 (25-56) in the first inning, second-best in the majors...Over 69 games, from May 21 until the day of his injury, he hit .360(96-267), the second best average in the major leagues...OnlyBoston's Adrian Gonzalez was better (.362)...Collected multiple hits in a career-high four consecutive games threetimes during the season: May 29-June 1 (10-18, .556); June 26-June30 (9-19, .474); July 24-July 27 (.647, 11-17)...Collected a career-best four hits on July 27 at Cincinnati in an 8-2win...Finished with two doubles and two singles in that game...Made starts at first base (46), second base (19) and third base(25)...Also appeared in a game in leftfield...Scored a career-best three runs on July 28 at Cincinnati, a 10-9victory...Drove in a season-best four runs on June 29 at Detroit, a 16-9 win...Hit a run-scoring, ground-rule double for his first hit and RBI of 2011on April 3 at Florida, a 9-2 win...Made his first career start at secondbase in that game...Hit a game-tying, pinch-hit home run in the eighth off Tyler Clippardon April 27 at Washington, a 6-3 win...It was his third career pinchhithome run...Added a two-run double in the ninth inning...Scored two runs in three consecutive games from June 25-June 28...Itwas the longest such streak of his career...Had a season-best nine-game hitting streak from July 24-August 1...Hit .474 (18-38) during that span. His season was cut short by two separate injuries...On April 5, he was placed on the 15-Day Disabled List, retroactive to March31, with a Grade One strain of the medial collateral ligament in his rightknee...Injured the knee while running the bases in an exhibition game againstthe St. Louis Cardinals in Port St. Lucie on March 30...His year came to an end during a major league rehabilitation game for Buffalo(AAA) of the International League against Syracuse on June 2...Sustained ahigh grade MCL tear of the right knee in a collision play, while at second base,with the Chiefs' Leonard Davis...Missed the final 90 games of the season...Originally activated from the DL on May 21...Played three games with St. Lucie (A) of the Florida State League...Went 8-11(.727) which included a 5-5 performance at Lakeland on May 23...Had four, two-hit games in the eight contests with Buffalo from May 25-June2...Played first base and second base for the Bisons...Appeared in 28 games with Aguilas Cibaenas of the Dominican WinterLeague...Made 19 starts at second base, four starts at third base and threeat first base...Hit .320 (33-103) with nine runs scored, six doubles, four homeruns and 22 RBI...Hit .448 (13-29) against lefthanded pitching while in the Dominican WinterLeague. Finished 12th in the National League in doubles...Had 19 doubles in his last 42 games...Led the Mets in home runs and games played...Made 97 starts at first base and 27 in leftfield...Batted .345 (19-55) with 21 RBI with runners in scoring position and two outs...Hit .327 (34-104) leading off an inning...Made the Mets Opening Day Roster for the first time in his career...Hit his first homerun of the season on Opening Day, April 6th at Cincinnati off Aaron Harang...Hit safely in 12 of his first 13 games of the year...Batted .315 (17-54) over that span...Batted third in the Mets order on April 29th...It was the first time in his majorleague career that he batted third...Went 1-3 with his first stolen base of the year...From Opening Day through May 8th, he hit .311 (28-90) with 18 runs scored,four doubles, one triple, three home runs and 11 RBI while hitting safely in 23of these 26 games...Hit leadoff for the first time in hismajor league career on May 22nd atBoston...Went 0-3 with a walk...Made his first career start at first baseon May 20th at Los Angeles (NL)...Appeared in 13 games at first base withBinghamton (AA) of the EasternLeague during the 2008 season...Had a then career-high nine-gamehitting streak from April 27th-May8th...Hit .333 (9-27) over that stretch...Hit home runs in consecutive gamesfor the first time in his career on May1st and May 2nd at Philadelphia...Established a career-high with fiveRBI on May 27th vs. Washington...After the All-Star break, he hit .282(75-266) with 30 runs scored, 27doubles, three triples, seven homeruns and 35 RBI in 73 games...Hit fourth in the order on July 25that Houston...Hit in all nine spots inthe batting order during the season...Collected the first walkoff hit of hiscareer, August 16th vs. San Francisco...His RBI single in the bottom of theninth inning scored Jeff Francoeur togive the Mets a 3-2 win over theGiants...It was his sixth game-winningRBI of the year.Had a career-high 10-game hitting streak from August 15th-August 24th...Batted.366 (15-41) with six doubles, one triple, and four RBI over that stretch...Hisprevious high was a nine game span from April 27th-May 8th...Batted .321 (27-84) with 12 runs scored, eight doubles, two triples, three homeruns and 13 RBI in his last 24 games...From July 20th-end of the season, hebatted .294 (74-252) with 29 runs scored and 34 RBI...Tied for fourth in the NL with 15 extra-base hits in September...Joey Votto wasfirst with 20 for the month...Also tied for fourth in the NL with nine doubles...Went 3-4 with a triple and a home run while driving in all four runs in the Mets'4-2 victory over the Cubs on September 6th...Tied his career high with three hits on September 17th at Atlanta...Also hadthree hits on April 10th at Florida, April 19th vs. Milwaukee, May 27th vs.Washington, June 17th at Baltimore, June 19th vs. Tampa, August 23rd vs.Philadelphia and September 6th vs. Chicago...Hit his second career pinch-hit home run, October 2nd vs. Houston (off DougBrocail). His contract was selected from New Orleans (AAA) of the Pacific Coast League on August 2nd...Made his major league debutthat evening in Houston, going 1-4 with a run scored, while collecting an outfield assist...Collected his first hit in his first atbat,a single off Roy Oswalt...Made his first start at Shea on August 5th vs. San Diego...Picked up his first RBI and extra-base hit with a double in theseventh inning...Was hitting .500 (10-20) after the games of August 9th...Only four players who made their major league debut with the Metswere hitting .500 in as many at-bats into their career: Gregg Jefferies (24 at-bats), Ty Wiggington (22 at-bats), Mike Vail (20at-bats) and Alex Ochoa (20 at-bats)...Reached base safely in his first nine games...Collected his 30th hit in the major leagues on September 5th vs. Philadelphia in his 81st at-bat...The only player in franchisehistory who required fewer at-bats to record 30 hits was Gregg Jefferies (74 at-bats) in 1988...Was on base safely in 41 of his 49 games...Had a hit in 23 of his 30 starts...Had a seven-game hitting streak from August 2nd-August 10th, hitting .478 (11-23) over the stretch...Hit his first major league home run pinch-hitting on August 9th vs. Florida (off Renyel Pinto)...Became the first Met to connecton his first major league home run as a pinch-hitter since Mike Jacobs accomplished the feat on August 21, 2005 vs.Washington...Tied his career-high with a 3-6 effort at Washington on August 13th...Knocked in a season-best three runs in that game...Alsowent 3-5 with a run scored, a triple and an RBI on August 6th vs. San Diego...Had an RBI double in the eighth inning against Brad Lidge on August 27th that gave the Mets the lead in a game they wouldeventually win, 6-3, at Philadelphia...Had a seven-game hitting streak from August 27th-September 5th...Over that span, he hit .440 (11-25) with six runs scored,five doubles, and one RBI...His two-run double in the eighth inning broke a 5-5 tie and led the Mets to a 9-5 win in Atlanta on September 19th...For the season, he had eight games with two hits and two contests with three hits...Made 30 starts in leftfield...Became the fifth non-pitcher from the 2006 draft to appear in a major league game...The others were the Giants' EmmanuelBuris and Brian Bocock, the Rangers' Chris Davis, and the Rays' Evan Longoria...Appeared in one game with New Orleans on August 1st after being promoted from Binghamton (AA) of the Eastern Leaguethe previous day...Played in 95 games with Binghamton (AA)...Appeared in four games as an outfielder while the rest of his starts came at firstbase, second base and third base...Was named to the 2008 Eastern League All-Star team...Went 1-2 as the Northern Division's starting third baseman...Named to the Eastern League's postseason All-Star team...Was the Sterling Award Organizational Co-Player of the Year with Nick Evans...Was the desginated hitter for three games as part of a rehabilitation assignment with Brooklyn (A) of the New York-PennLeague from June 27th-June 29th...Played for Peoria of the Arizona Fall League following the season...Hit .397 (25-63), which was fifth best in the league, whileplaying 15 games at second base...Also finished third in the AFL with a .487 on-base percentage...Named to the Arizona Fall League's Top Prospects team. Was named the Sterling Award winner for the St. Lucie Mets (A) of the Florida State League, emblematic of the team's MVP. Following his selection in the 2006 First-Year Player Draft, played at three levels of New York's Minor League system...Hit .213 with one double, two homers, 10 RBI, 12 walks and six runs scored in 25 games. 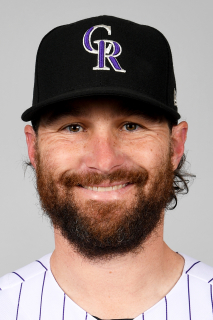 April 20, 2019 Colorado Rockies sent 2B Daniel Murphy on a rehab assignment to Albuquerque Isotopes. April 1, 2019 Colorado Rockies placed 1B Daniel Murphy on the 10-day injured list retroactive to March 30, 2019. Avulsion fracture of left index finger. December 21, 2018 Colorado Rockies signed free agent 1B Daniel Murphy. October 29, 2018 2B Daniel Murphy elected free agency. August 22, 2018 Chicago Cubs activated 2B Daniel Murphy. August 21, 2018 Washington Nationals traded 2B Daniel Murphy to Chicago Cubs for 2B Andruw Monasterio and Player To Be Named Later. June 12, 2018 Washington Nationals activated 2B Daniel Murphy from the 10-day disabled list. May 26, 2018 Washington Nationals sent 2B Daniel Murphy on a rehab assignment to Harrisburg Senators. May 15, 2018 2B Daniel Murphy assigned to Washington Nationals. March 27, 2018 Washington Nationals placed 2B Daniel Murphy on the 10-day disabled list retroactive to March 26, 2018. Recovery from right knee surgery. January 6, 2016 Washington Nationals signed free agent 2B Daniel Murphy. November 2, 2015 2B Daniel Murphy elected free agency. June 30, 2015 New York Mets activated 2B Daniel Murphy from the 15-day disabled list. June 25, 2015 New York Mets sent 2B Daniel Murphy on a rehab assignment to St. Lucie Mets. June 24, 2015 New York Mets sent 2B Daniel Murphy on a rehab assignment to GCL Mets. September 9, 2014 New York Mets activated 2B Daniel Murphy from the 15-day disabled list. August 29, 2014 New York Mets placed 2B Daniel Murphy on the 15-day disabled list retroactive to August 25, 2014. Strained right calf. April 3, 2014 New York Mets activated 2B Daniel Murphy from the paternity list. April 2, 2014 New York Mets placed 2B Daniel Murphy on the paternity list. October 24, 2011 New York Mets activated 2B Daniel Murphy from the 60-day disabled list. September 1, 2011 New York Mets transferred 1B Daniel Murphy from the 15-day disabled list to the 60-day disabled list. August 8, 2011 New York Mets placed 1B Daniel Murphy on the 15-day disabled list. Torn ligament in his left knee. October 21, 2010 1B Daniel Murphy assigned to Aguilas Cibaenas. October 13, 2010 New York Mets activated 1B Daniel Murphy. September 21, 2010 Buffalo Bisons activated 1B Daniel Murphy from the 7-day disabled list. June 4, 2010 Buffalo Bisons placed 1B Daniel Murphy on the 7-day disabled list. May 24, 2010 New York Mets optioned 1B Daniel Murphy to Buffalo Bisons. May 21, 2010 sent 1B Daniel Murphy on a rehab assignment to St. Lucie Mets. April 4, 2010 Daniel Murphy roster status changed by New York Mets.